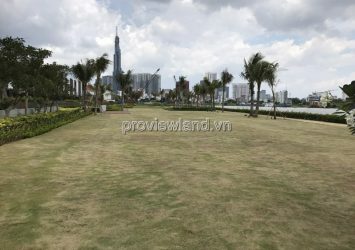 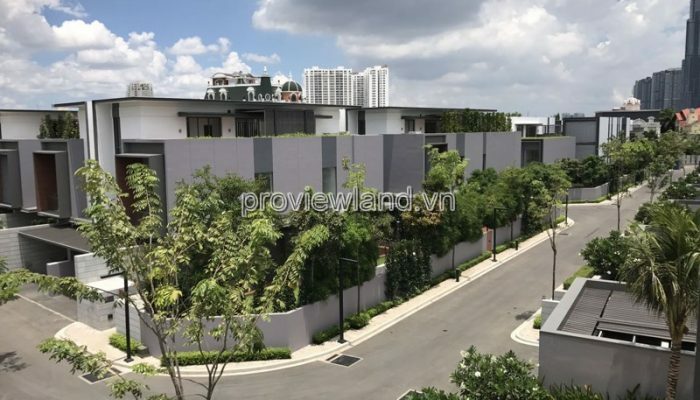 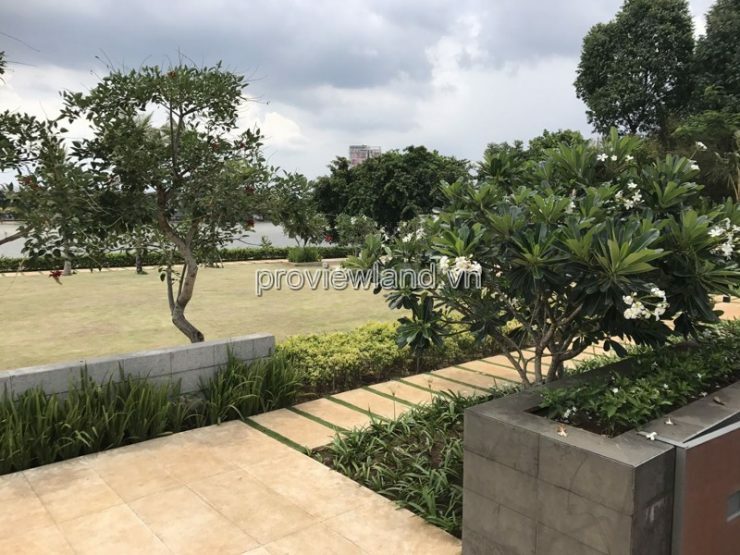 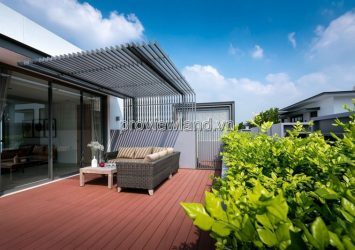 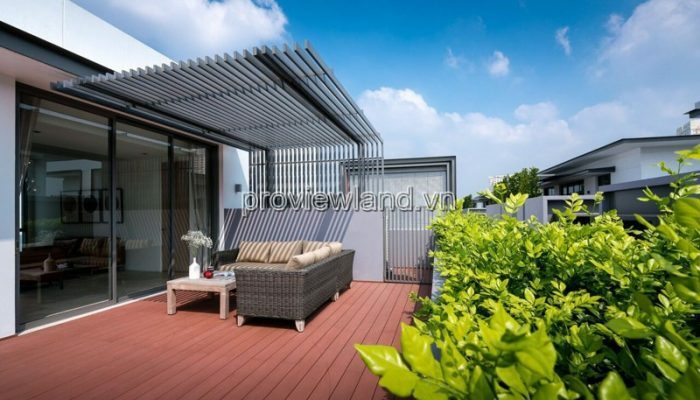 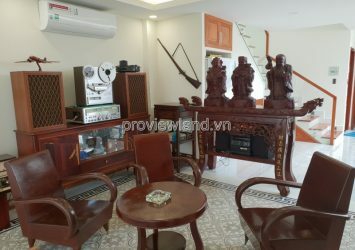 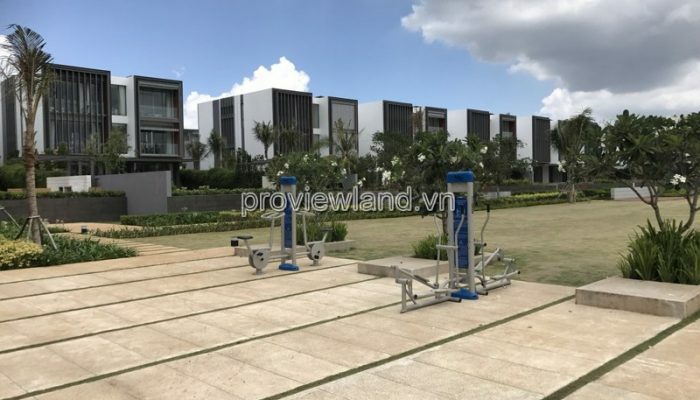 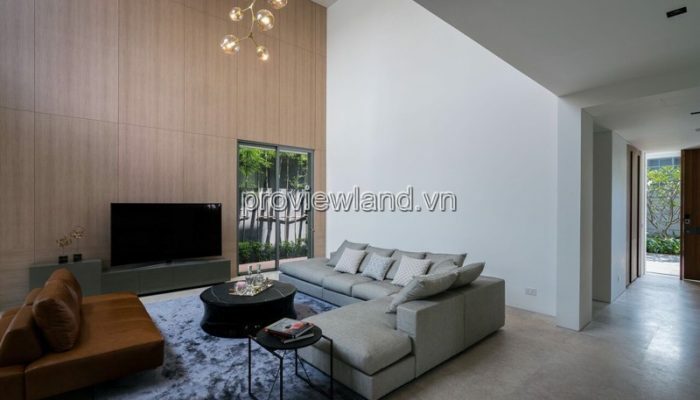 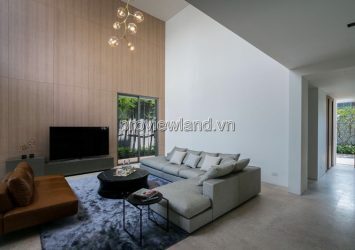 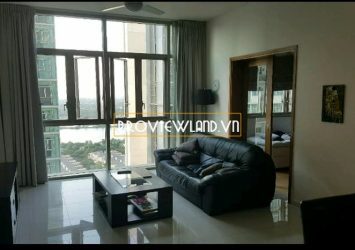 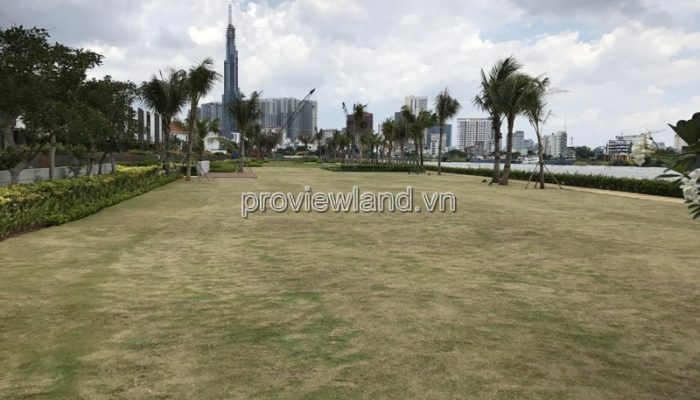 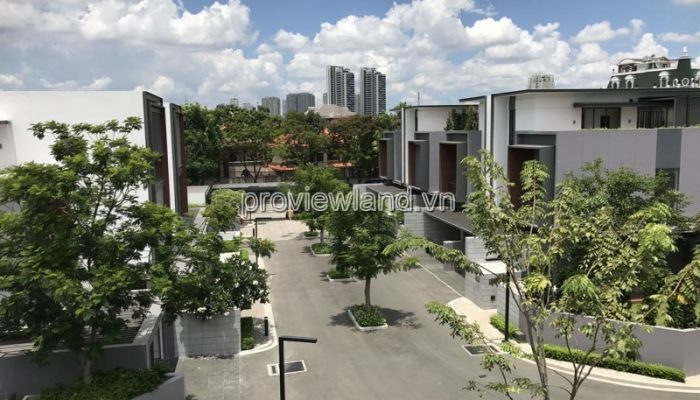 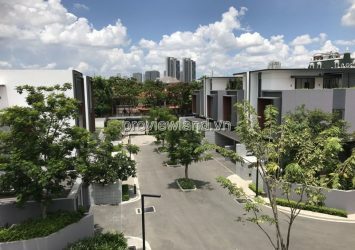 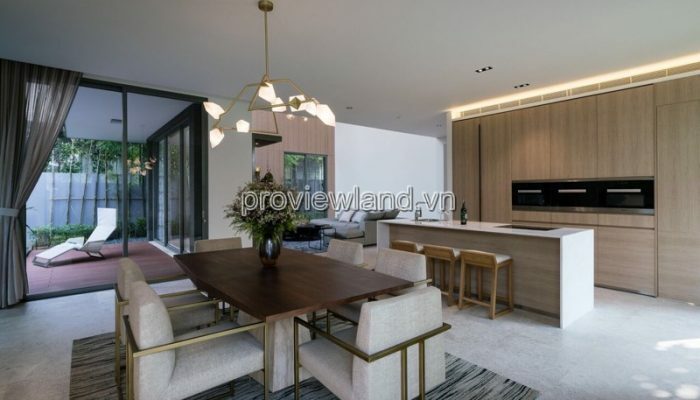 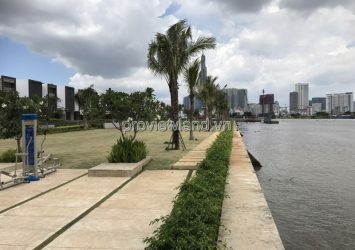 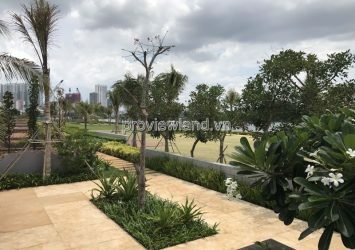 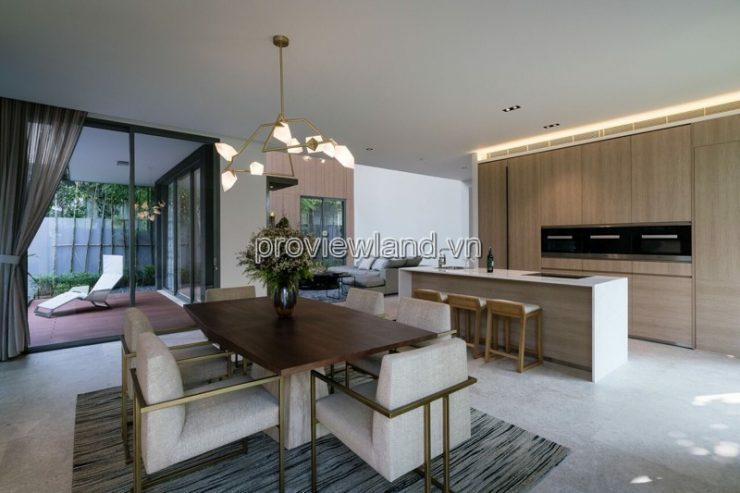 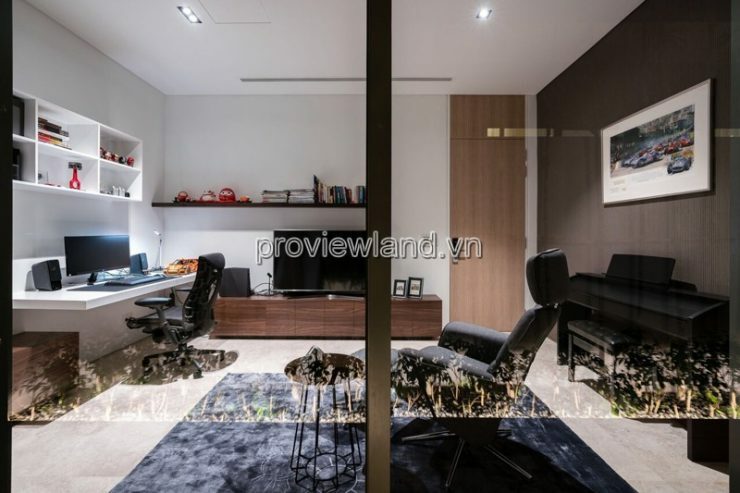 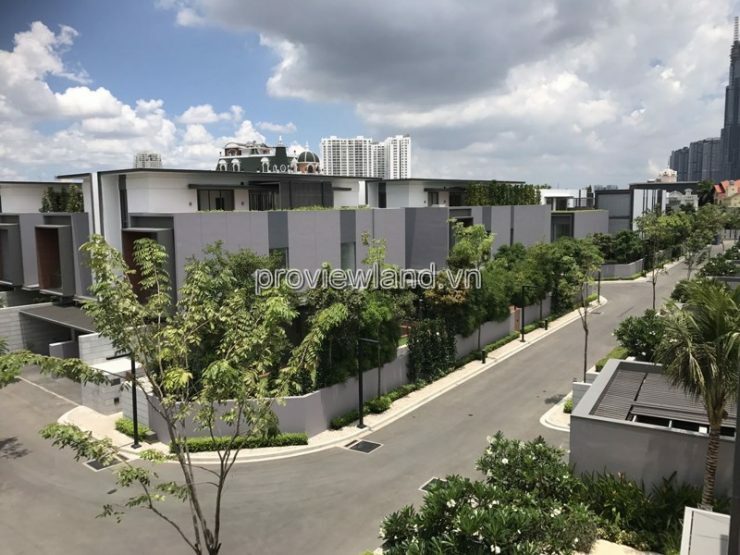 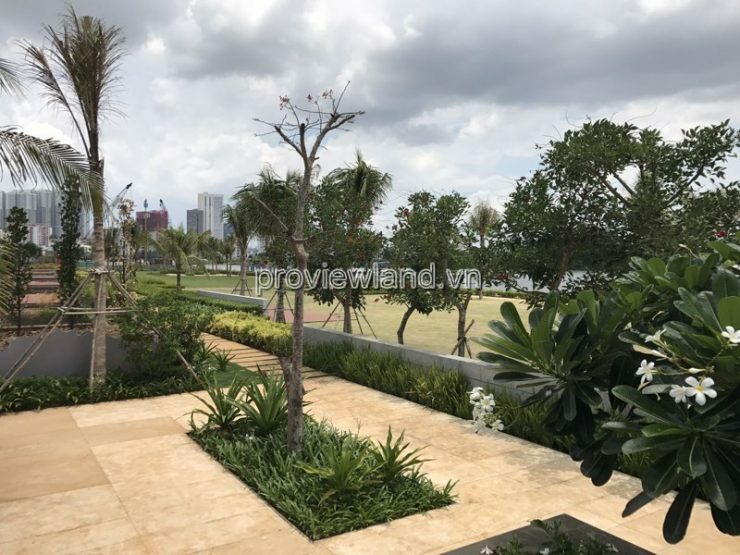 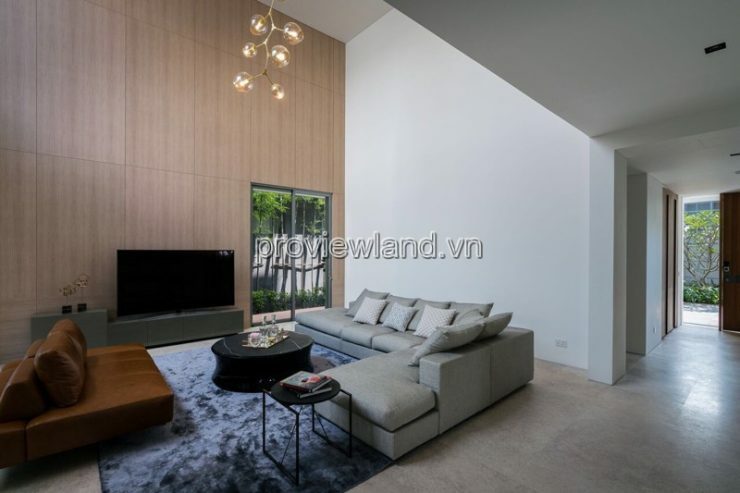 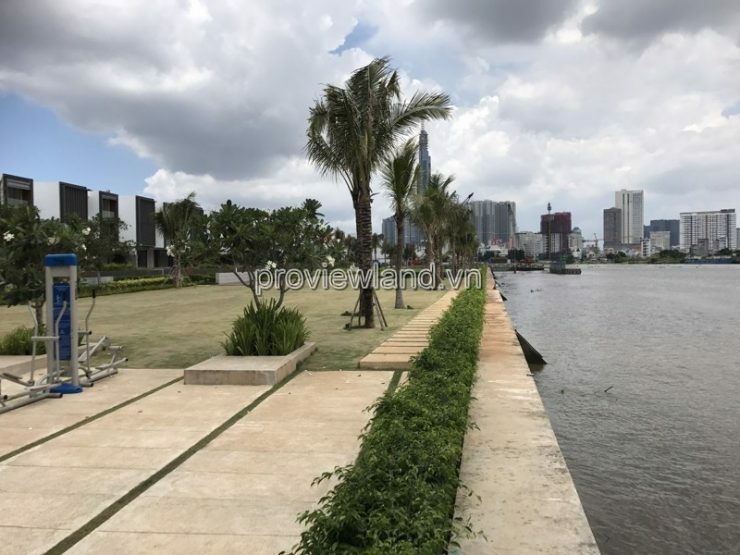 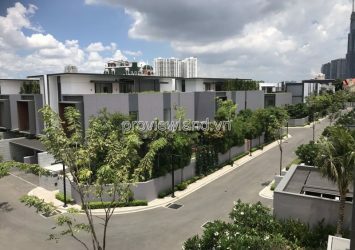 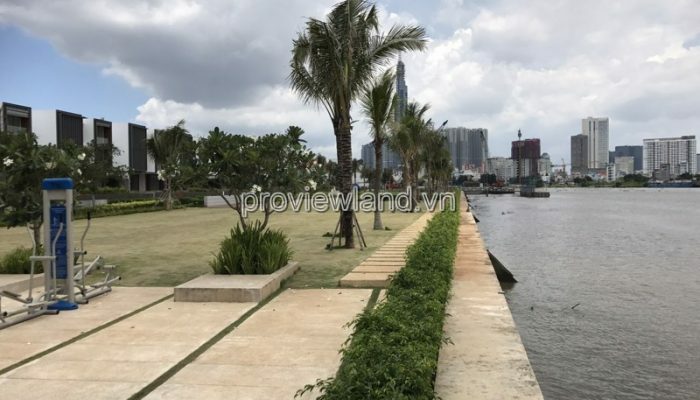 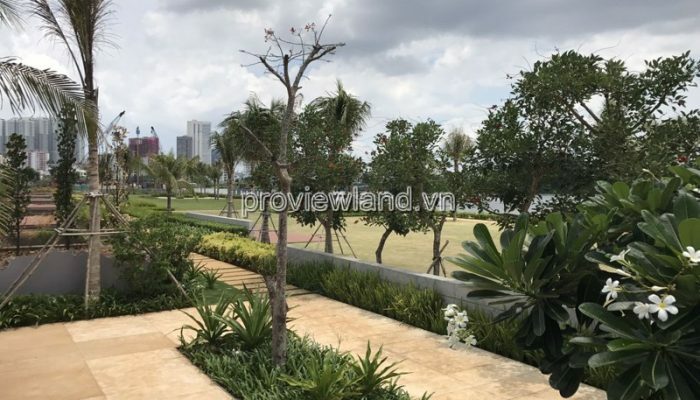 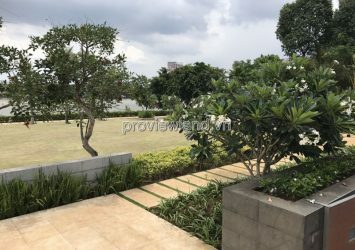 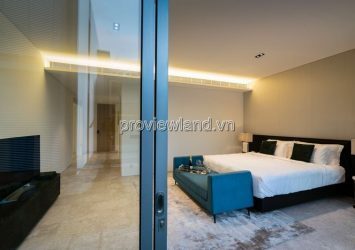 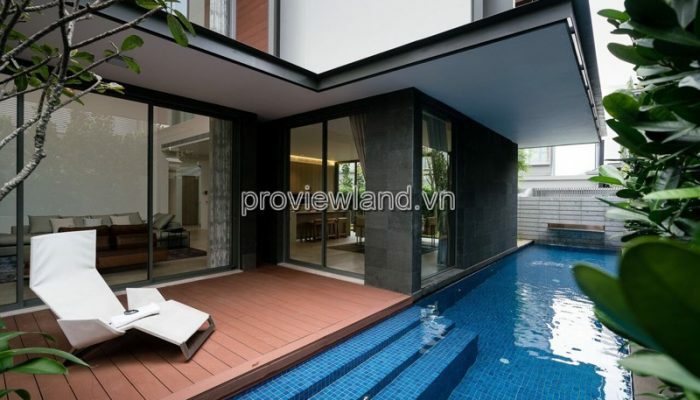 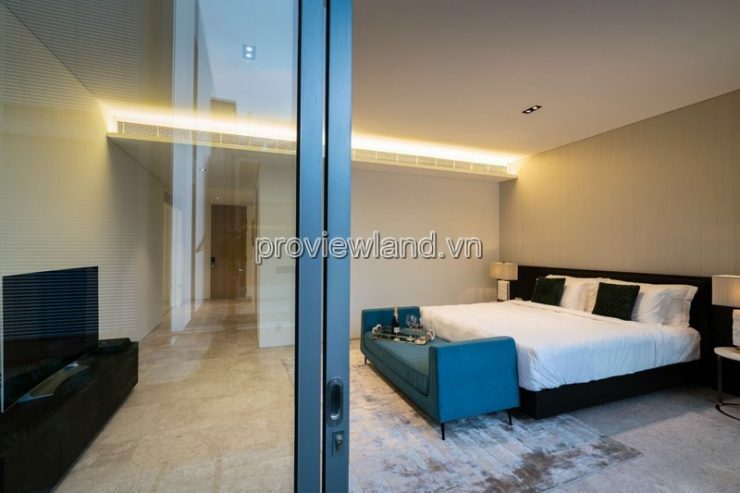 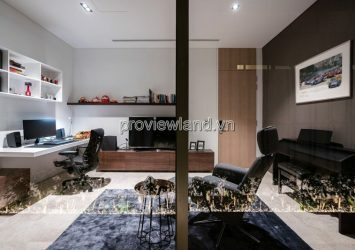 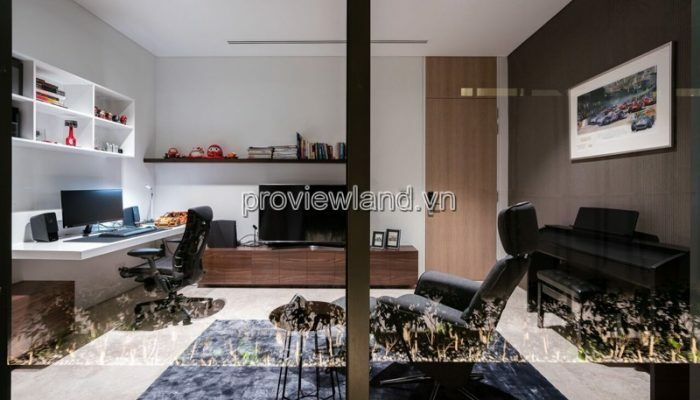 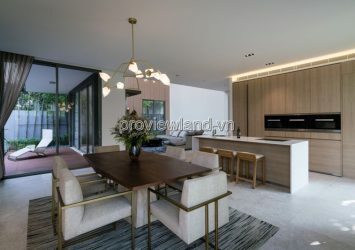 Holm Villas villa for sale in Nguyen Van Huong, Thao Dien, District 2, with area of ​​450m2 (pink book) with private swimming pool, 1 ground floor, 2 floors, fully furnished. 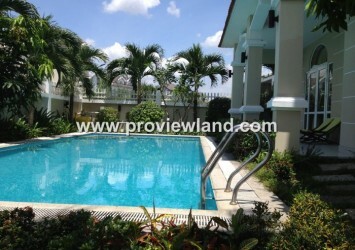 – Ground floor with 2 walkways, main walker, maid walker, 1 maid’s room + private WC, 1 working room for the landlord. 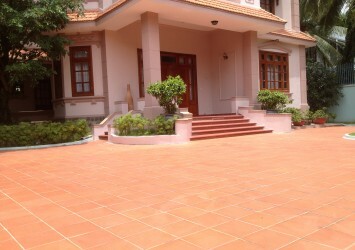 Include 2 kitchens, stove and stove, cook kitchen for snacks, main kitchen for smelling food, and smell to the garden. 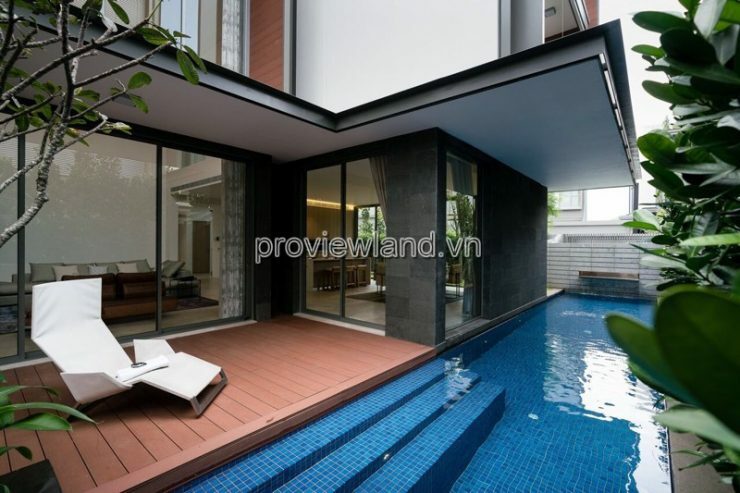 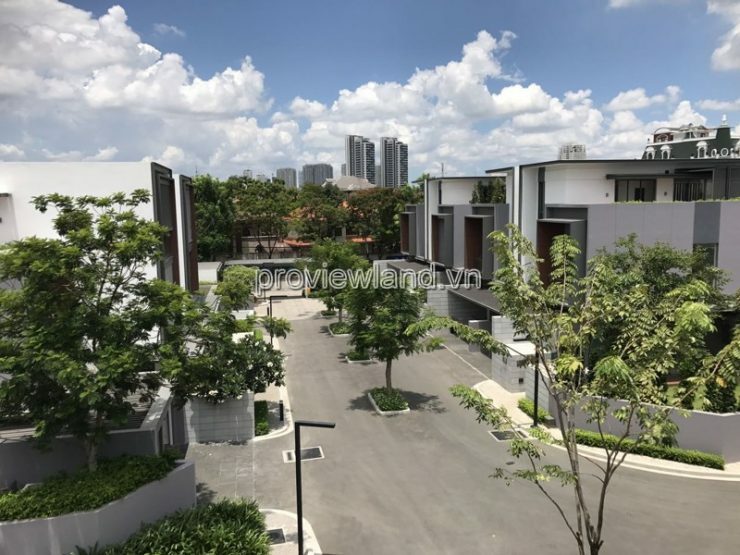 – 1st floor has 3 bedrooms – 3 WC, including 80m2 main bedroom with wide WC of 16m2. 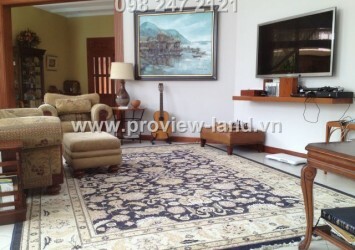 – 2nd floor has 2 big bedrooms + 1 living room + 1 large garden about 75m2. 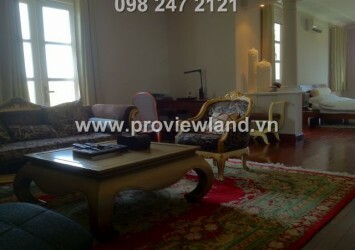 – All villas are fully furnished.